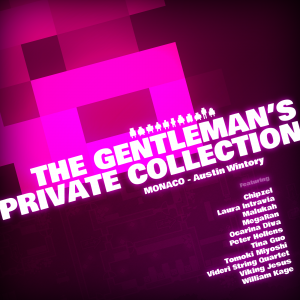 The Gentleman’s Private Collection is an arrange album of Austin Wintory’s score for Monaco: What’s Yours is Mine. The original score predominantly features silent film style ragtime tunes, a few cut songs from the original score are present here. However, the main draw of the album is the collection of arrangements which cover many diverse styles. 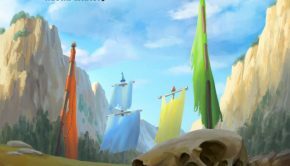 Each is done by a different talented, popular face in the game music community, bringing their own unique touches to Wintory’s music. 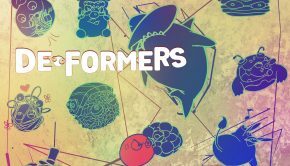 For anyone who enjoyed the original music but also wanted something a little more varied in style, this collection of well-produced tributes is sure to satisfy. The album opens the an iteration of the main theme from the original soundtrack, and is one of six outtakes that Wintory himself provides. “This City is my Prison” is mainly a restatement of the main theme, and offers more of the same from the original soundtrack. The other tracks like “Identity” and “Rats Will Eat Their Own” are also more of the same, some despite some additions here and there of jazz organ and references to the other themes. The only ones that really set themselves out stylistically are “Jimmyz” and “A Very Different Monaco”, which are more traditional ragtime sounding, though still feature the same instrumentations. Thus these tracks aren’t much in the way of anything really new, but they do nicely ground the collection and remind the listener of the original score. Most of the arrangements are of the main theme with its variations. 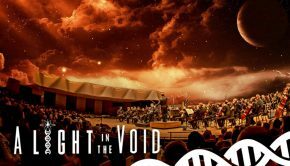 These are largely straightforward, keeping the atmosphere and many elements from the original score. “A Wolf in Sheep’s Clothes” by the Videri String Quartet plays the theme with harshness of the original, before switching to more of a lounge atmosphere. Tomoko Miyoshi’s “Gentleman’s Partita” is more interesting, bringing a violin in with the original piano line, then morphing the piece into a dialogue with baroque principles. Cris Gale brings his ocarina to “Song of Banque” which adds to the wistful atmosphere. There were also two tracks that are no longer available: “Your Reeds Are Mine” arranged by Kristin Naigus has an orchestra playfully accompany the original piano theme in a fun but short lived track, and “Your Mallets are Mine” by Brent Kennedy takes the theme to xylophones. Each of these tracks is strongly founded in the original score, accenting the strengths and adding their own unique aspect to it. Other arrangements are much more interpretative with the theme. Laura Intravia brings her flute and her arranging skills to a small ensemble to make a brilliant smooth Latin track that is equally mysterious as it is seductive. The track develops well, adding some new elements as it goes, and is overall incredibly infectious. William Kage’s intriguing “Your Life Is Mine” is one of the few electronic arrangements, having industrial and space synth elements reminiscent of an older era of games. Viking Jesus adjusts the melody slightly for the metal cover “The Thrill of Thievery”, which opens slowly but then brings the grit and energy that we would expect from him. The arrangement isn’t entirely special, but his handling of that central theme is interesting enough. Cellist Tina Guo re-images the song on a vast, echoing landscape with a gorgeous layering of cellos. The playing is passionate and brooding, and the textures are thick and palpable. The interpretations on these tracks are expertly realized, and each paint a very different picture for our considerations. The remaining tracks on the album tackle the other themes of the original score. 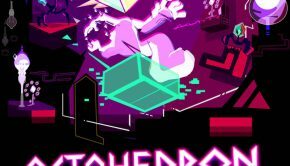 “Discothéque Rouge, After Hours” is a fun fast paced chiptune remix of “Discothéque Rouge”. The other three are renditions of the vocal theme, “Can’t Resist”. While the original was mostly alright, these new renditions really elevate the material and bring out the best in it. The most interesting of arrangements is “They Never See Me Coming”, a male a cappella track which keeps a similar vibe. The vocal performance is quite good and playful, and there’s some fitting creepy chuckling to cap it off. “Stick ’Em” is a hip-hop track that makes great use of original score as samples, and has crisp production alongside Mega Ran and Jermiside’s great rap flow. “Shadows” is much more wistful than the original, with a soft echoing electric guitar and the ethereal Malukah on vocals. The few extra instruments added on as the song progresses and the choice vocal layers make the track haunting, and the smoothness of the instrumentation really sets it apart from the original. These are all great tracks with plenty of diversity, and they do wonders for the lesser themes of the original score, particularly the vocal theme. The all-star game musician tribute to Austin Wintory’s Monaco: What’s Yours Is Mine score does not disappoint. Most of the arrangements on The Gentleman’s Private Collection focus on the main theme, and many of arrangements stay very true to the original score while bringing their unique aspects to it. A few others are much more interpretative, and also accent the other parts of the score. In particular, the vocal theme gets a few new great renditions. Wintory also brings some cut material from the original score, which is mostly similar stuff with only a couple that are stylistically different. It is a bit of a shame that there isn’t more source stuff to work with, since a large portion of the album features the same central melody, However, overall this album is a great item for anyone who enjoyed the original, and perhaps might even be preferred over the original because it has more variety and diversity. Posted on December 12, 2014 by Christopher Huynh. Last modified on December 26, 2014.